The holidays are one of the best times of year to head to the movie theater, and it’s not just because curling up with an exciting new flick is the perfect chilly-day activity. As awards show season draws near, production companies save their best films for last—the last month of the year, that is. In the next few weeks, some serious Oscar, Golden Globe, Critics’ Choice, PGA, SAG, and BAFTA bait will hit the silver screen. And some of this year’s top contenders are based on books. Here’s your chance to read the books becoming movies in December before they hit theaters. The period piece about the rivalry between Queen Elizabeth I and her cousin, Mary, Queen of Scots, is almost here. Mary, Queen of Scots is the perfect activity for a moody winter day. Margot Robbie and Saoirse Ronan were born to play queens. In Holy Lands, Harry leaves his life as a doctor in the states behind in favor of a new adventure. He decides to raise pigs in Israel, hoping it will finally bring him happiness. This one will definitely tug at your heartstrings. The Mortal Engines trailer promises rolling “predator cities” that move on wheels, futuristic gadgets, and plenty of massive explosions. Peter Jackson (The Lord of the Rings, The Hobbit, King Kong) served as a producer on this futuristic film, so you know it’s going to be epic. 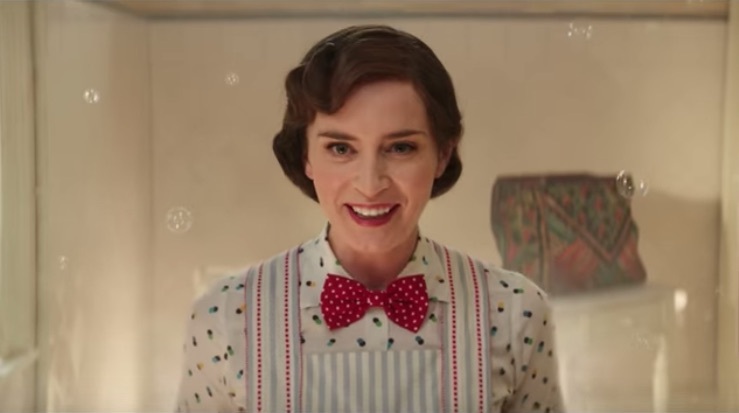 Five words: Emily Blunt as Mary Poppins. Need we say more? Mary Poppins Returns isn’t a remake of the 1964 Julie Andrews film but is instead based on the entire Mary Poppins series. We can’t wait for her to meet Jane and Michael Banks as adults.